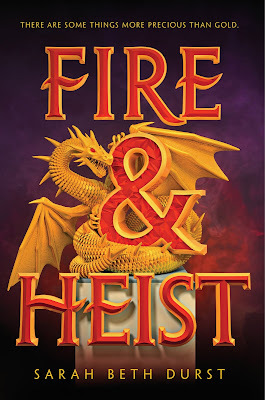 Sarah's Journal: FIRE AND HEIST comes out today!!! 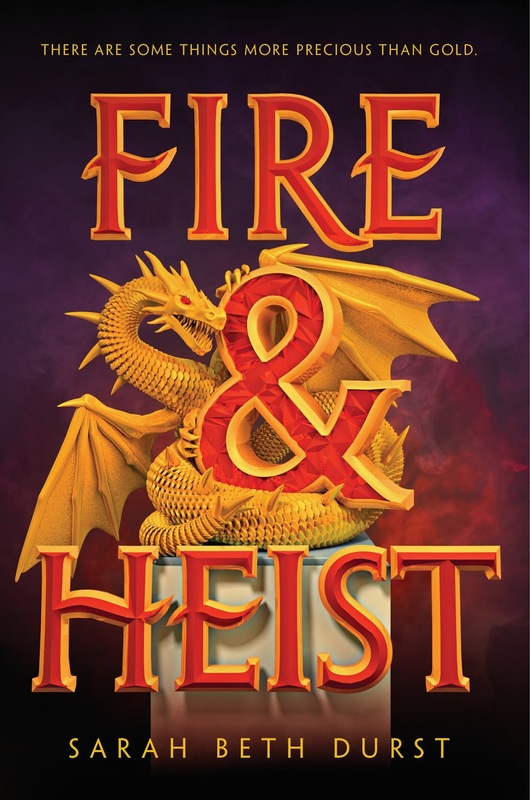 Today is the book birthday for my new YA book, FIRE AND HEIST! Yay!!! FIRE AND HEIST is my seventeenth book, and my seventh for teen readers. (For those of you who are wondering, yes, this one is also appropriate for tweens.) Think Ocean's Eleven... with were-dragons! Over the years, I've written about bloodthirsty nature spirits, vampires in high school, cupcake-loving monsters, and a girl made of stone. And now I'm thrilled to introduce you to Sky! Sixteen-year-old Sky Hawkins is a socialite, a thief, and a were-dragon (like a werewolf but less fur and more fire). She's reckless and sometimes selfish, but she's also fearless and determined, and I love her. In Sky's world (which is our world plus were-dragons), you need to lead your first heist, if you want to be accepted by society. But on the night of her first heist, Sky discovers a dark truth that could reunite her family or tear them apart forever. I had the idea for this book while I was in my kitchen, debating heist movies with my family: Is Ocean's Eleven with George Clooney better than Ocean's Eleven with Frank Sinatra? Which is cooler, The Italian Job or The Thomas Crown Affair? Does Ant-Man count as a heist movie? As we polished off a bag of tortilla chips, I had the image of a girl dangling upside-down from the chandelier in the foyer of her parent's mansion... and I knew this girl could breathe fire. That was the moment Sky was born. If you're interested, more information can be found on my website, including the first chapter (with Sky and her chandelier). Thanks for reading! And happy holidays!